Dry sunny spells are expected by the Met Office in the East Midlands, although strong gusty winds and gales are likely until around 3pm. The worst of the gales should ease off by the afternoon. Today should otherwise be dry, with sunny spells and only the slight chance of a passing shower or two. 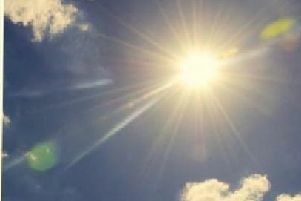 The maximum temperature could hit 12 °C. A dry evening, is forecast, with winds easing, and some brief clear spells. However cloud will soon thicken from south, with rain spreading north by midnight. The minimum temperature could drop to 4 °C.